Now, I’m no nutritionist, nor am I a doctor. Although I did spend two years working as a personal trainer (really! ), I’m probably not qualified to give you any dietary advice. Anecdotally, I can relay a similar story. Back in college, I played a couple of sports..or at least I was on the teams enough to get a bit of garbage time. As a junior, I suffered a knee injury (torn ACL, shredded meniscus and bone chips) that required a couple major surgeries and ended my intercollegiate athletic experience. I compensated for this by basically sitting on my posterior for way too long and ballooned up to nearly 250 pounds (113 kg) from my playing weight of 190 pounds (86 kg). After about a year, I decided to pursue an opportunity to play again and needed to get back in shape. My routine was to basically eat a high protein breakfast / early meal and spend the rest of the day with a beer diet and occasional protein shake to supplement my workouts. It worked, at least for me. I played three more years at a high level between 195-200 pounds (88-90 kg) and still maintain a weight at around 215-220 pounds (97-99 kg) twenty plus years later. As mentioned above, I’m certainly not advocating “a beer diet” for everyone – or anyone for that matter – but beer, as we’ve said before, can be a healthy part of a balanced diet. It contains no fat and can be high in B vitamins and other nutrients. In fact, the craft beer movement coincides nicely with the trend to fresh and organic foods, which can be good for your body, as well as your community and spirit. In short, the “beer belly” myth has very little to do with beer. So enjoy your favorite craft beer moderately and guilt free as a tasty part of your routine…and don’t let the naysayers tell you that you can’t lose a few pounds at the same time. Here’s another chapter in the ongoing civil war between the big & little brewers. We continue to urge beer drinkers to understand the issues and how these markets are being influenced both by the power of the “big guys” and the protests of the newbies. This covers a bit of history, from AB’s misleading ads against Boston Beer Company to their modern tactics restricting market and distributor access, but also rightly credits some big “crafty” beers with increasing consumer awareness, which in turn has benefitted craft brewers. 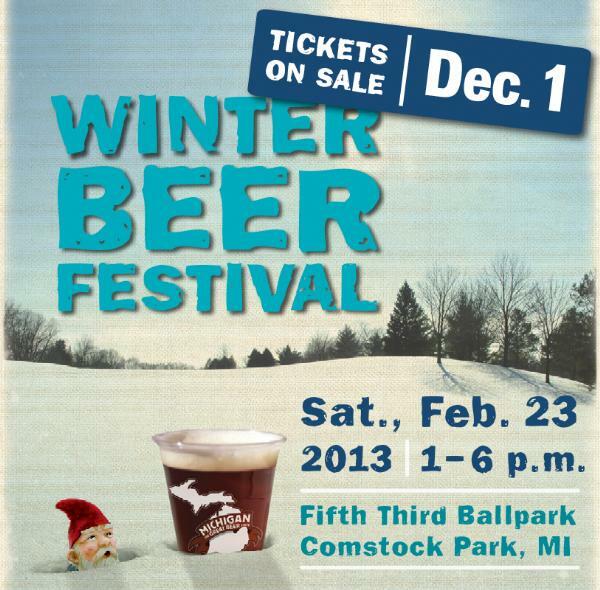 Once again, the BAF attending the Michigan Brewers Guild’s Winter Beer Festival. This is rapidly becoming THE highlight event of the local beer calendar, as the host metro preceded the event with its own GR Beer Week. 74 breweries participated this year, pouring nearly 650 different beers, highlighted by grand displays by some of the buzz brewers including Bells, Founders, Shorts, Dark Horse, Greenbush and Perrin, all of whom enjoyed large crowds and featured some rare releases. As always, the atmosphere is festive and the weather was perfect this year. Many people “dress the part” to compliment the elements. A snowstorm had dropped plenty of white stuff the in the hours leading up to the event, and a large snow mound in the middle of the square made for a good vantage point above all the revelry. Live music and a large “picnic” area rounded out the grounds, giving festival goers plenty of ways to entertain and refresh themselves throughout the event. From our perpective, there seems to be a “beer trend” nearly every year, as certain flavors or trends seem to be shared among many special pours. This year saw the release of several barrel aged and sour brews, to compliment most brewery’s regular lineups. 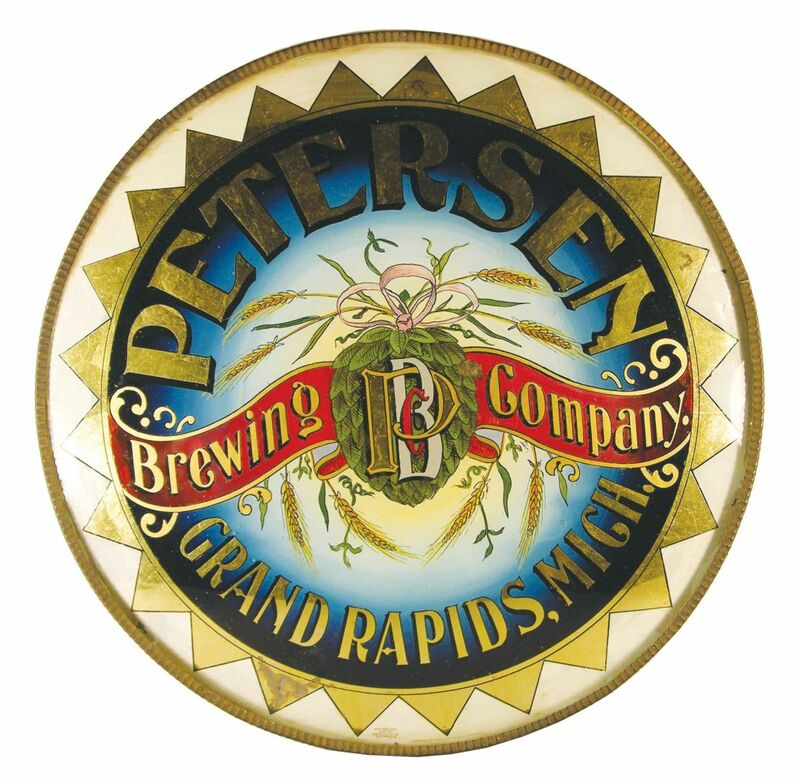 We found a few gems from regular favorites such as Kuhnhenn, Shorts, Founders and Greenbush, but also enjoyed many newer participants such as Petoskey, Cheyboygan, Blackrocks, Rockford and Greenbush. All in all, this was one of the best festivals yet and we’re already counting the days until next year’s event. I intended to post this update a couple weeks from now, as we spent a little time on the subject of “reform” last July when the State of Michigan issued a number of recommendations for changes that would change the ways beer producers, retailers and wholesalers function within the state. We have it on good word that negotiations are still ongoing in Lansing as lobbyists on both sides of the issue are peddling their influence. In fact, a bill has now been proposed. You’re going to hear a TON about this going forward…and there will be some spilled beer as a result. Distributors or wholesalers want to maintain their control, of course, and the potential revenues that come with mandatory distribution, but let’s face it: in the modern market in most areas of the state, there are only a handful of wholesalers, and most of them have literally THOUSANDS (if not hundreds of thousands) of SKUs to try and manage. Consolidation is making this an even bigger problem. It is impossible for them and their staffs to give attention to all of them, despite their best efforts, and it’s the small players who usually slip through the cracks, particularly if they don’t have much name recognition in the market. Brewers (opens .pdf), on the other hand, want the attention and freedom that come with self-distribution, but let’s also face it: many or most of them have little to no understanding of the costs and efforts involved to build and maintain a distribution network and the retailer relationships that go along with it. Having worked in the middle tier in the past, let me tell you, the hours are long, often thankless, and it ain’t always easy. 1. It would eliminate the expense and hassle of “building small brands” from wholesalers and allow them to concentrate more resources on brands that have some volume. The job isn’t getting any easier for startups as it’s no longer “special” to be local. You need to be local, have a good product and some following. These things take time and are not always present in new breweries entering the market, often undercapitalized, and are sometimes busy learning from mistakes. 2. 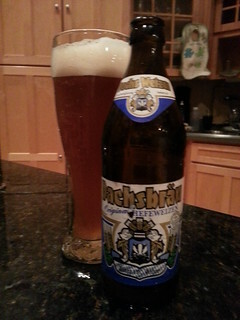 It would build an appreciation among small brewers for the difficulties faced in distribution. I’d bet most small brewers would be eager to pass along distribution responsibility for their brands as they grow beyond a few core accounts. After all, brewers are typically in the “beer business,” not in the logistics and sales business. Who wants to spend money on trucks, warehouse space and sales guys when you can be making beer? Who wants to spend 18 and 20 hour days meeting retailers, repairing trucks, loading and unloading trucks, in strategy meetings, making sales calls, fixing draft problems, stocking shelves, dealing with returns, and doing promotions in far off retailers instead of being in the brewery making beer and talking to customers? Bottom line, I would argue, is the current system was created nearly 80 years ago as the nation passed the 21st Amendment to address issues that are no longer present and current conditions can fairly be said to warrant some reforms. While the system has done some things well, let’s not forget that it was reform in the mid-80’s – specifically, the creation of the brewpub and microbrew licenses – that opened the doors to this tremendous new craft beer industry in the state. Personally, I would urge the wholesalers to look at this as a positive. It can reduce costs and eliminate small volume SKUs that are not as profitable while creating true partnerships with those producers who do use and appreciate a distribution partnership. Hopefully, these new changes can be fair for all the parties involved and continue to shepherd a growing industry in the Great Lakes State for decades into the future. What does a drunk walrus have in common with a woman at a tupperware party? They’re both out looking for a tight seal. A snail goes into a bar and orders a beer. The barman says, “sorry we don’t serve snails” and throws him out. A man walks into a bar and orders a beer then looks into his pocket. He does this over and over again. Finally, the bartender asks why he orders a beer and after drinking it he looks into his pocket. “Maybe all I need is some fresh air,” thought the man as he crawled outside. He tried to stand up again but fell face first into the mud. “You went out drinking last night, didn’t you?” she said. While it is to be celebrated that this year’s festival is more popular than ever, as evidenced by a 12-hour sellout, this year’s ticket sales were not without controversy. Our suggestions: Allow member brewers to sell tickets and limit them to 2 or 4 per sale, which gives people a reason to actually visit a member brewer. Give preference to Guild Afficianado members. Skip the online sales. For the latest in who’s going to be there and what they’re pouring, click HERE. 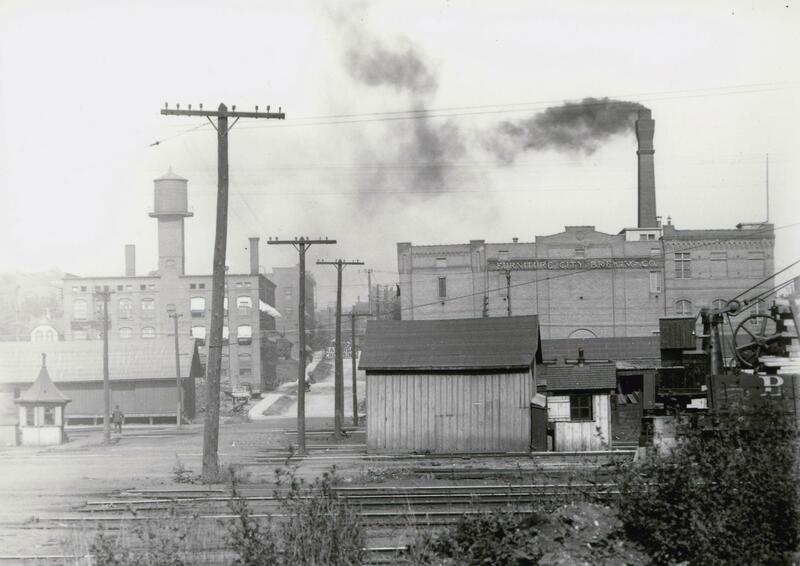 Ironically, two “modern era” breweries have also disappeared in the past decade, including Grand Rapids Brewing Company (version 3) and Big Buck Brewery & Steakhouse, both of whom have seen their buildings razed. The original location of Founders Brewing (then known as Canal Street Brewing) still exists, but is vacant. All the other recent brewing operations are either still in existence or home to a new operator today. Of course, the area has never been home to as many breweries at once as it is today…and for that, we’re delighted. How about your city? Any cool vestiges in your neighborhood? Friar Tuck knows from hence he speaks. Having sampled my way across several continents, I can testify that this five century old quote has it right in many cases. 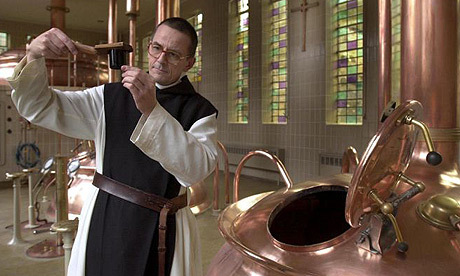 Most beer geeks are familier with the trappist brews of Belgium or the monestaries of Germany that produce so many famous beers, but I’ve found that many men of the cloth are still to be found in the biergardens and halls of Europe, and rarely do their preferences in beverage lead one astray. There’s literally a full schedule daily to enjoy and explore our local craft brew Mecca. Don’t miss out on everything. don’t know what they’re missing. they fly over for a visit, so being in an International mood lately, this is a great time to dive in. finish is clean and wheaty malt. shame we can’t get it in the U.S…yet.